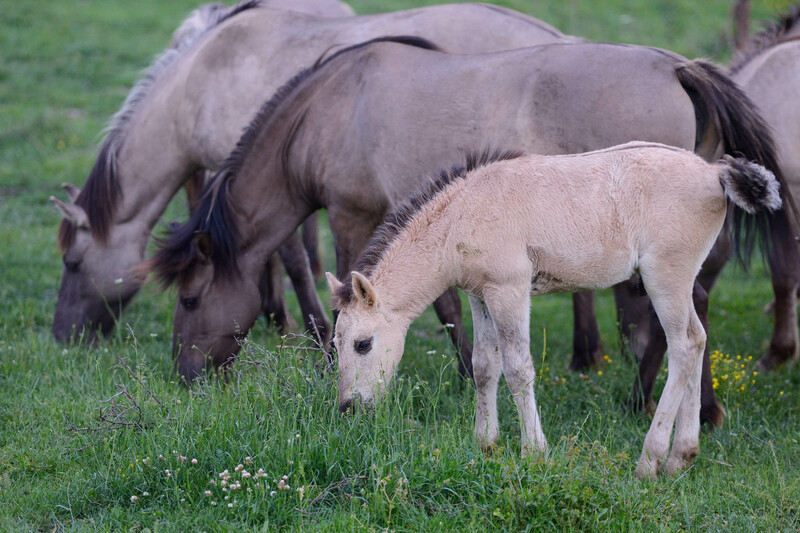 Wild living Konik horses in the Rhodope mountains, Bulgaria. Rhodope Mountains in Bulgaria, rising to over 2 000 metres, with deep river gorges and steep cliffs, cover close to 15 000 square kilometres, extending into Greece in the south. This is one of the most important breeding sites for the globally endangered Egyptian vultures in the region, and the only one for griffon vultures in the country. The Rhodopes are one of eight pilot sites for a network with a new vision for nature conservation that’s called Rewilding Europe. As people increasingly move into urban areas, Rewilding Europe takes rural areas where the population is diminishing and makes them wild again, restoring self-sustaining ecosystems that are vital for biodiversity and, at the same time, developing new, nature-based economies. And it turns out they have a business case – proven by the fact the European Investment Bank just lent them EUR 6 million. The loan is backed by the Natural Capital Financing Facilityestablished by the European Commission and the EIB. In Bulgaria, in the Rhodopes, this took the form of working with local entrepreneurs to boost small-scale nature based tourism by repairing wildlife photography hides, training local entrepreneurs and demonstrating the commercial value of wild nature. The ultimate objective is to finance the rewilding of the region, and stop poisoning, poaching and power-line electrocutions that reduced the number of griffon vultures to only 10 pairs at the lowest point. Rewilding Europe introduced an anti-poisoning dog unit to spot hazards for vultures, is building artificial nests to attract black vultures to start new colonies, and started working with local electricity companies to insulate their power lines. And while the locals were using poison baits to keep the wolf population down, Rewilding Europe actually brought in fallow and red deer so that there would be more natural prey for wolves – a key selling point in attracting vultures, because the birds feed on what’s left of the carcass once the wolves finish eating. The locals also understand that the rewilding efforts help diversify their income by appealing to tourists from the capital Sofia and outside the country. That means business for bed-and-breakfasts, in addition to livestock management. 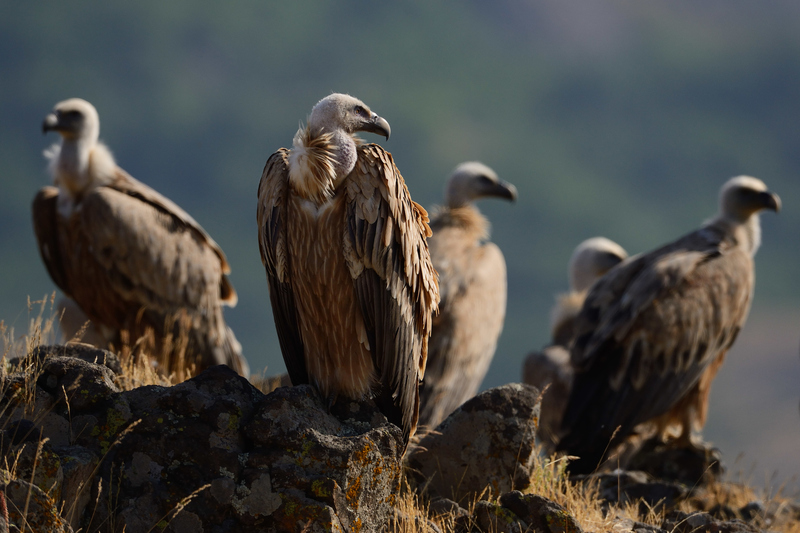 Griffon vultures in the Rhodope mountains. The tourism opportunities are not limited to photography hides in the Rhodopes. In fact, Rewilding Europe has even launched European Safari Company. Compared to the African beasts usually associated with safaris, what could be so exciting about European fauna, I hear you ask? Let me tell you about aurochs. These are the big-horned wild ancestors of domestic cattle, up to 1.80 meters tall and weighing up to more than a ton, which are depicted on cave paintings. In Greek myth, Zeus took the form of an aurochs bull to seduce and kidnap the beautiful princess Europa, thus founding Europe. The aurochs developed during what is called the Pleistocene and went extinct around 400 years ago, but their genes are still alive and well in some ancient cattle breeds. 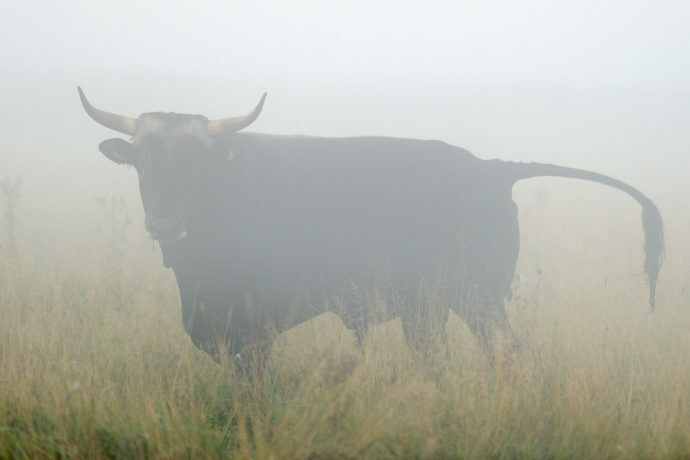 Part of Rewilding Europe’s job is using these ancient cattle to breed the Tauros, a species of auroch-type wild cattle that’s able to survive on its own. Besides sounding like a great tourism draw, why do we need these ‘supercows’, as they’ve already been branded? Originally, the aurochs was one of the key species to take care of that. Along with them, and especially for the last millennia, this task has partly been accomplished with the help of farmers and their livestock, which at least in its traditional grass-grazing mode, is quickly coming to an end. “Most of our young generation does not want to become farmers or shepherds, so in large areas the natural grazers are extinct, and domestic cattle have left as well. So we thought we need to rethink our entire approach and try to bring back the original grazers,” Helmer says. He explains that 99% of the genes of the original grazers are still in the genes of domesticated breeds today, so the Tauros Programme has been using various primitive breeds to create a more resilient cow, one that could fend for itself. There are currently several hundred animals bred, and early results of introducing them to the wild are showing promise, Helmer confirms. Bull of second generation crossbreeds at the Tauros breeding site in the Netherlands. The wild horses released in the Rhodopes, as well as the new auroch-like tauroses, and the European bison are all part of another innovation that Rewilding Europe’s brought about – the European Wildlife Bank. It is almost like a real bank, Helmer tells me. If you then show the bank how you’ve been able to expand the grazing area available for the wild animals, you can keep the additional 150 for a loan for another 5 years – during which the herd will, expectedly, again multiply and the same rule applies after 5 years again. Minus the ones who get killed by the wolves in the Rhodope mountains, and then picked on by the – hopefully – increasing vulture population. While the tourist takes photographs from the secret hide that Rewilding Europe, with a little help from the EIB, has helped renovate. Now that’s the circle of life! Republished with permission from EIB blog.